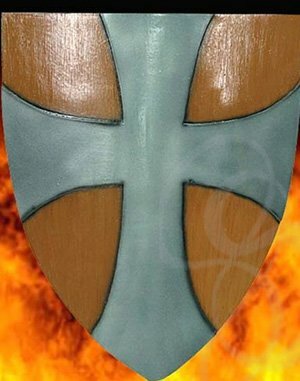 This shield is a classic knightly heater shield. Features a suede wrapped, hard rubber handle with an adjustable leather strap for forearm support and excellent control. The wood grain faux finish is centered with a painted iron cross. The non-crack finish assures service for many battles.